A leading news channel used our highly interactive elements and products and it enhanced the election coverage experience for the audience. The polls this year have been drumming up great interest for one and all these last few months. As the election season began, most media houses and news channels focused all their energies to look up mediums where they could differentiate in ways of showcasing their electoral coverage. 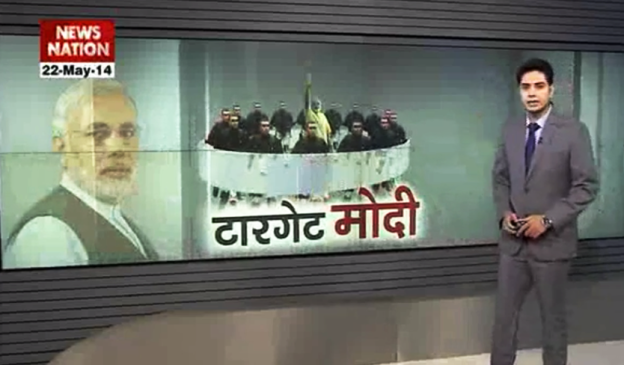 News Nation rose to this challenge and opted to look at TouchMagix technology to leverage the best in class multi-touch experience for their studios for live election analysis. 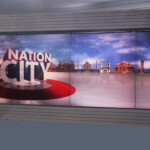 News Nation made use of the TouchMagix Multi-touch overlay to give the audience a unique experience in viewing electoral news. The TouchMagix Multi-touch Overlay was retrofitted over a 180 inch Barco video wall, giving it a yet more classy and edgy appeal. 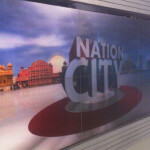 News Nation also installed Multi-touch overlay on their 75” Samsung video wall. These surfaces had the software required to bring out the visually appealing interactive content right on to the TV screen! Instead of installing separate kiosks and booths, a huge interactive surface was created right where a television stood. Visitors could touch and expand relevant election news which was supported by high impact visuals and move or close news that did not generate their interest. The visitors and employees made full use of the display and found it an extremely engaging medium to view electoral information of their choice. Impact: The highly interactive elements of the displayed content greatly enhanced the election coverage experience for the audience. This entry was posted in Event and Media, MagixTouch and tagged magix screen, Media, Multi-touch Film, Multitouch, multitouch overlay, news channel, TouchMagix Overlay on May 22, 2014 by Touchmagix.